At Car Parts Stillorgan, we are dedicated to supplying you with the best quality products and out there. We only sell from trusted and reliable brands. We are agents for some of the world’s leading suppliers. We supply a huge variety of tools from TengTools to help you get the job done. TengTools are a well known and trusted brand. Britool are regarded as world leaders when it comes to car tools and equipment. At Car Parts Stillorgan, we stock a large range of tools. Call in today to browse our range. Bosch supplies a large range of electronics, wiper blades and batteries. They are known as a leading supplier of automotive parts. Laser are another leading supplier of tools in the car and garage sector. They also manufacture timing tools. KYB are a leading manufacturer of shocks and suspension. They focus on high quality parts that last. 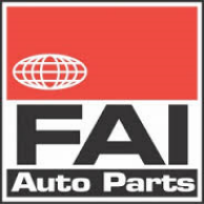 FAI produce high quality car parts at affordable prices. They are known for their parts in steering & suspension. Dayco are a well-known brand, specialising in timing belts. They also manufacture tensioners, dampers and pulleys. Jurid is a division of Honeywell, one of the best known names in the friction products business. Jurid products are high quality and used by many car manufacturers including; BMW, Mercedes, VW, Audi, and Porshe. Mobil produce a huge range of oil and lubricants to keep your vehicle running in top condition. NGK pride themselves on being one of the best producers of Spark Plugs. A Japanese company, established in 1936, they have vast experience producing top quality parts. Osram is a German company that manufactures world leading lighting for the auto industry. We stock a large range of Osram lighting products at our shop. Draper manufactures a huge range of tools, with a large variety in the auto section. They have been in operation over 100 years and have established themselves as a leading brand. Mintex are a leading brand, specialising in brakes, pads, discs, etc. We supply a large range in store. Beru manufacture top quality plugs and sensors. They estimate that they have a 40% share worldwide for grow plugs. Japanparts are specialize in filters, braking, clutches, wheel bearings, steering and suspension parts etc. for Asian cars. Yuasa are a Japanese company who make top quality auto batteries. With almost 100 years’ experience, they are one of the best suppliers out there. Era specialise in electronic equipment and sensors. Castrol specialise in a wide range of oils and lubricants. They are well known for their quality products.